ADDICAID: An addiction wellness platform for patients, payers, and providers was founded by Sam Frons. Addicaid's AI-driven ecosystem streamlines the needs of people looking to help themselves or looking to help others with a personalized recovery app paired with engagement solutions for any professional looking to enhance the delivery of care. 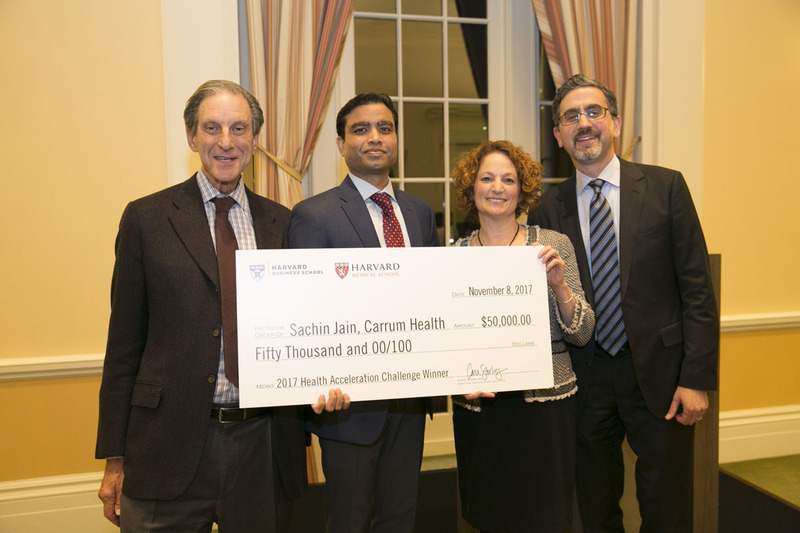 Finalists shared in a $150,000 prize endowed by Howard E. Cox, Jr. (MBA 1969), now an advisory partner in the venture capital firm Greylock Partners and a member of both the HBS Health Care Initiative Advisory Board and the Harvard Medical School Board of Fellows. In addition, each finalist had a case study written about them. Events were hosted in Los Angeles, San Francisco, Chicago, and New York where more than 400 HBS and HMS alumni attended and participated in case sessions to share expertise and provide guidance to the finalists.